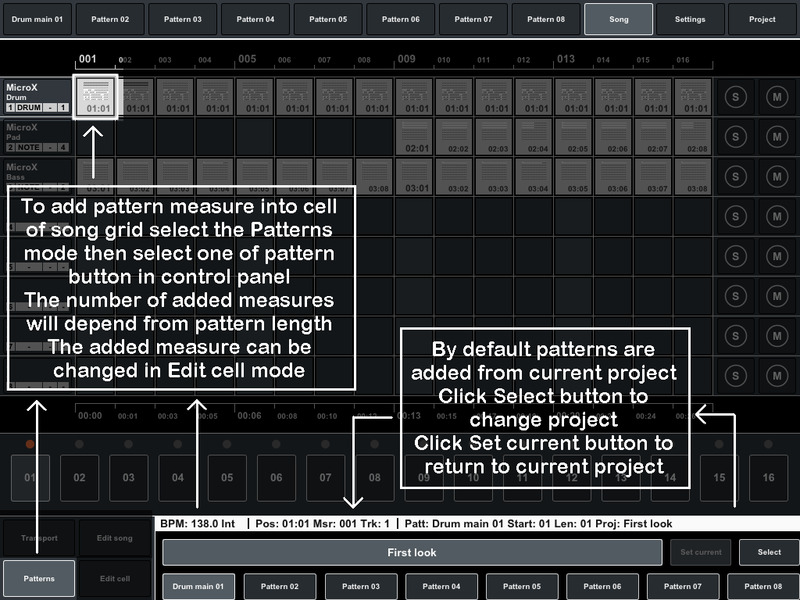 Quick tour by interface is made up of screenshots of different operation modes with a brief remarks for single elements. 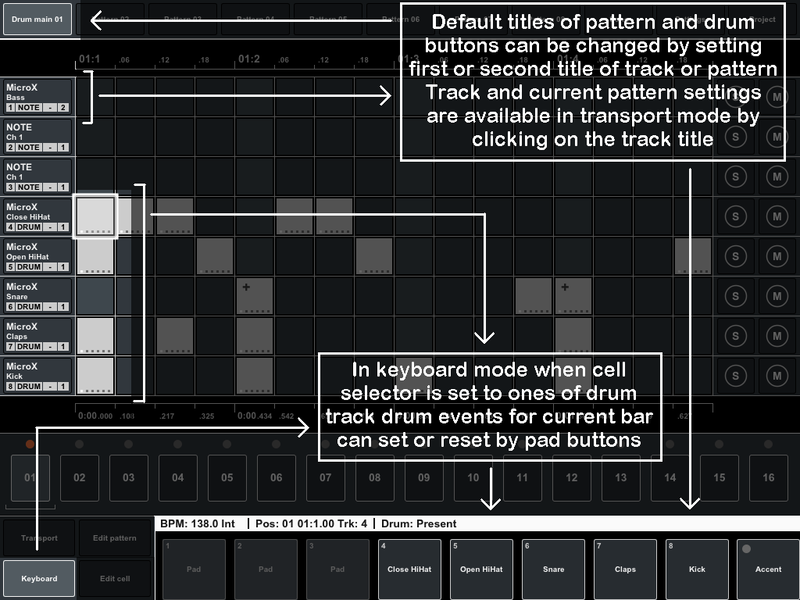 Screenshots show the common conception of sequencer actual for all versions. 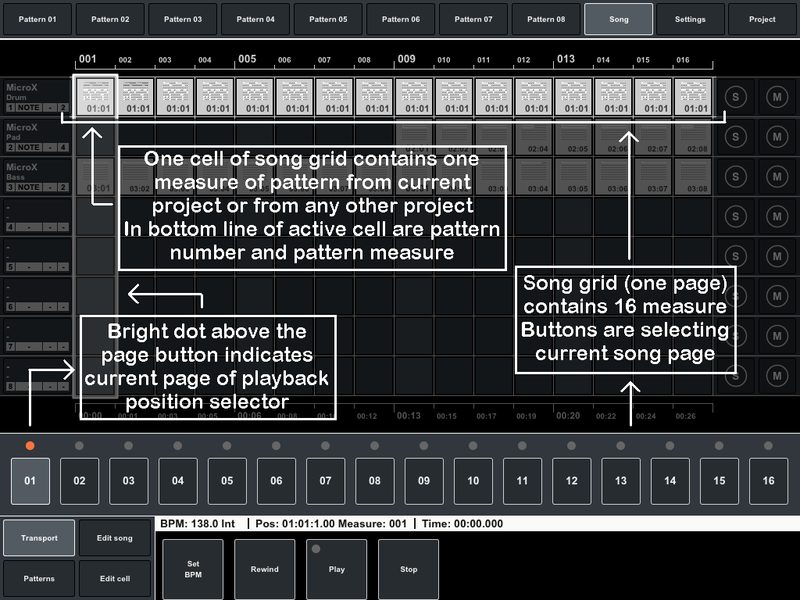 For more details about specific functions, see table of contents. 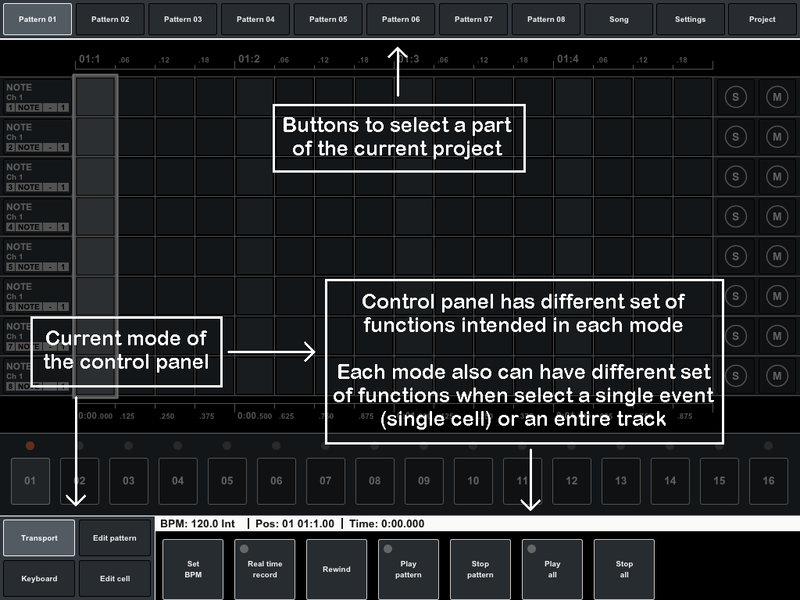 Tab bar, Control panel, Pattern tracks. 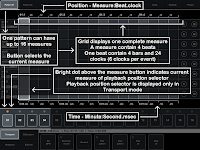 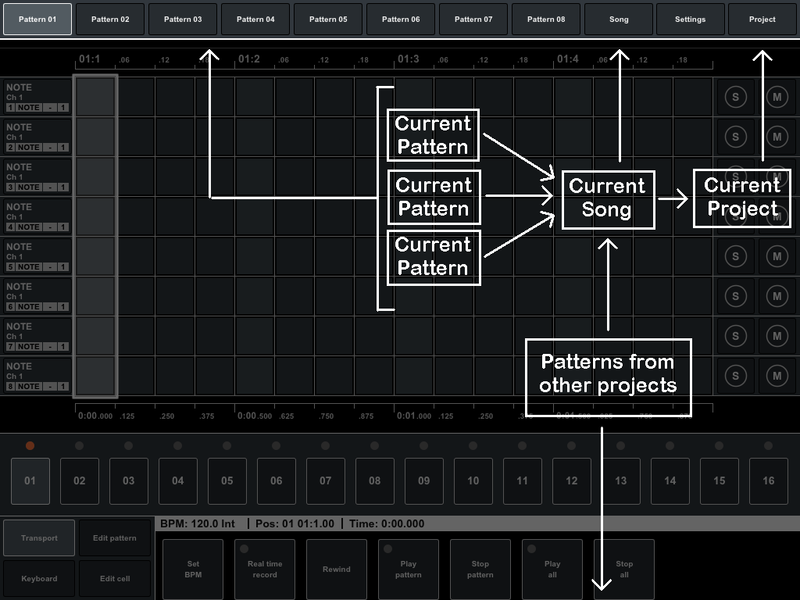 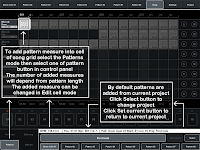 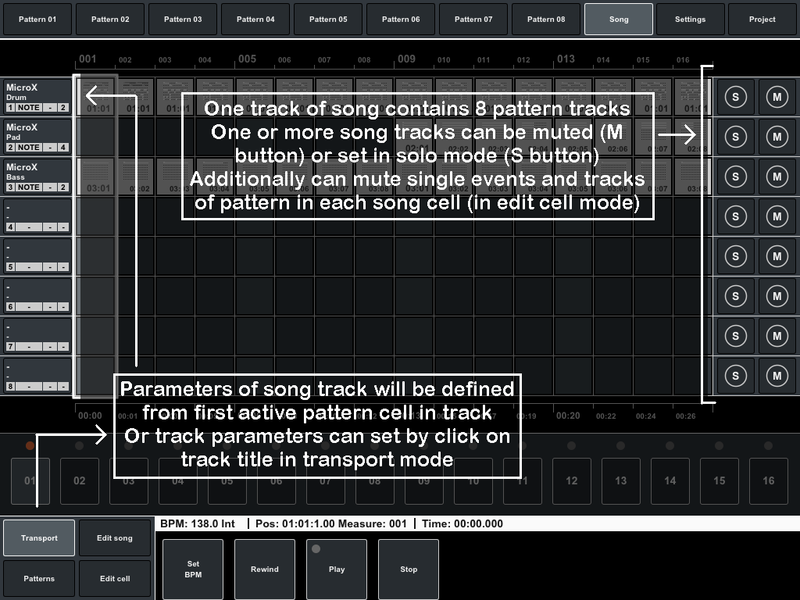 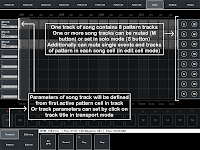 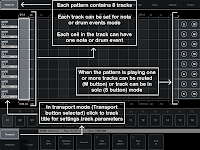 Pattern measures (playback position selector), Track titles (select track or cell), Pattern events. 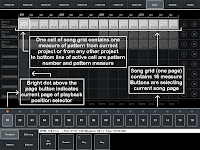 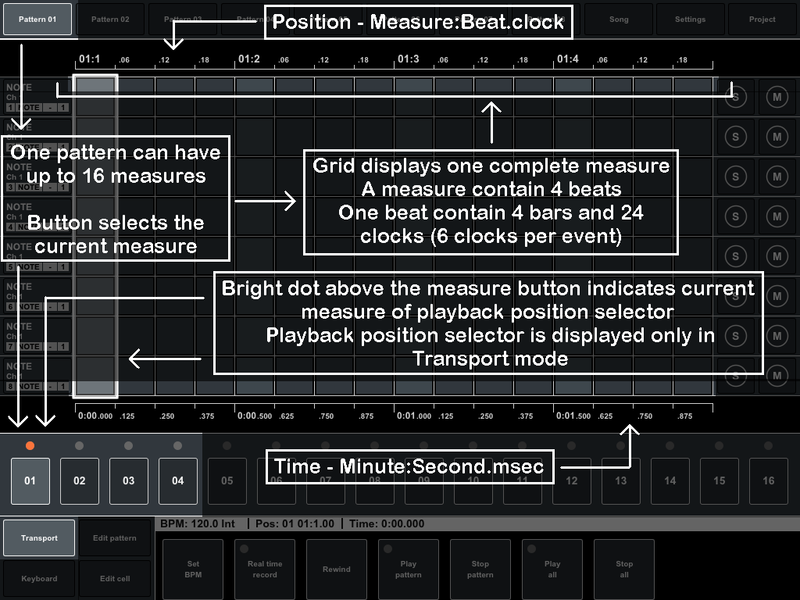 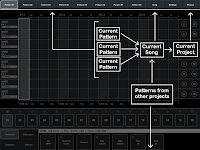 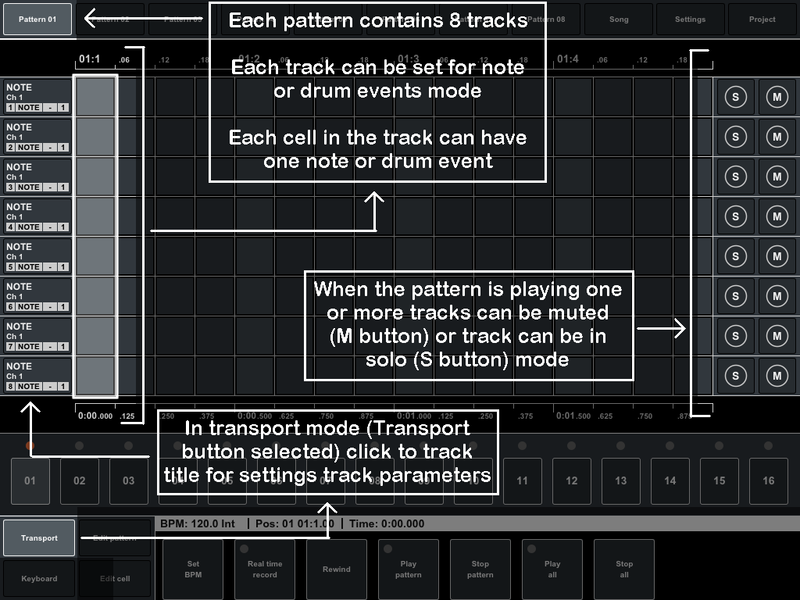 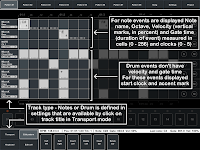 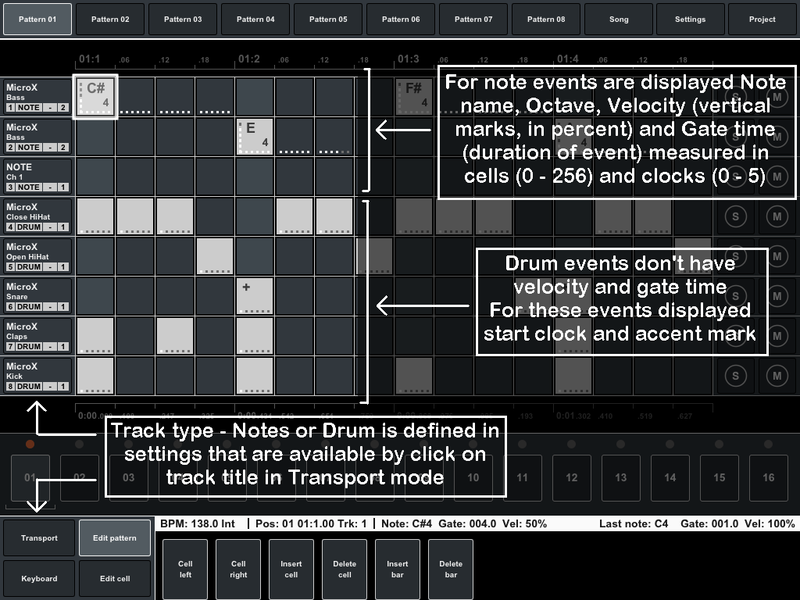 Drum buttons and displaying titles, Info panel, Song structure. 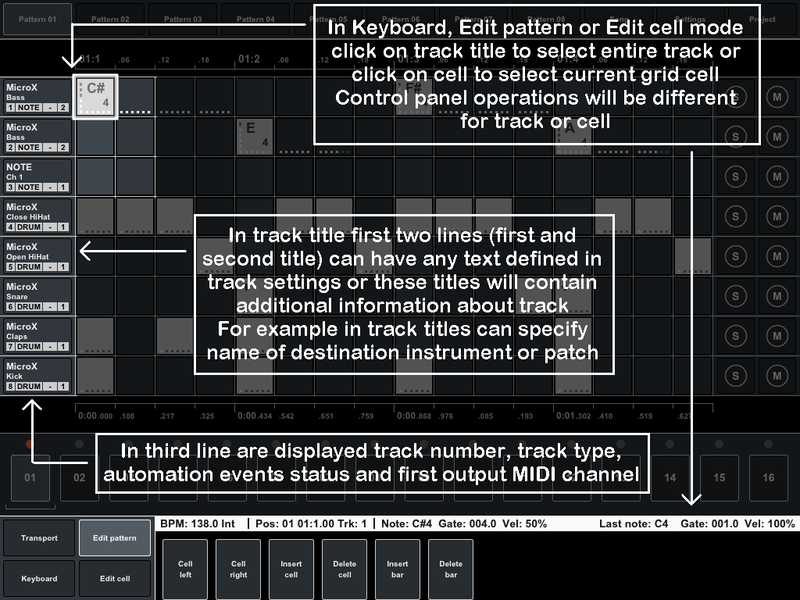 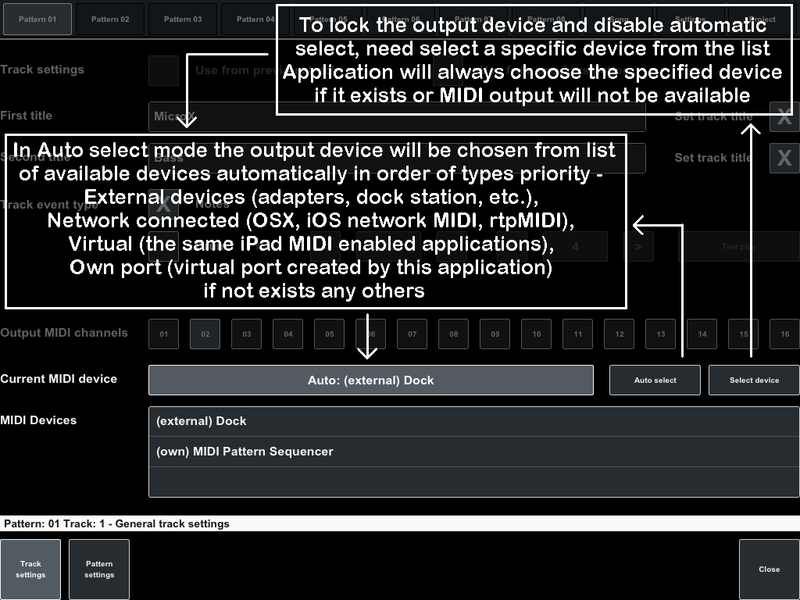 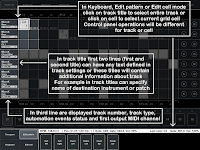 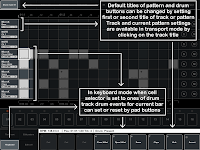 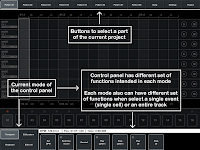 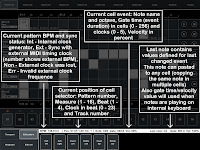 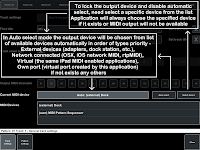 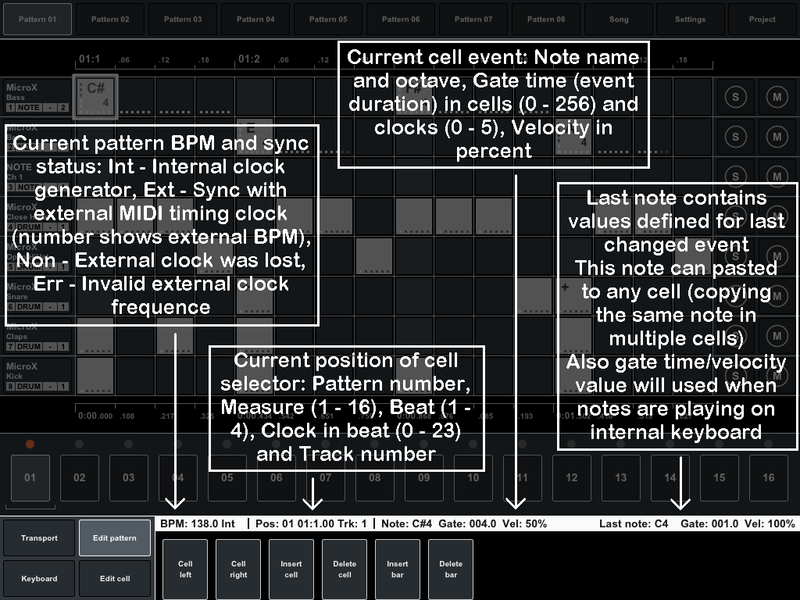 Song tracks, Song cell (measure), MIDI output settings.